“I spoke to several cancer specialists in New York City last night who said ‘caution, this is not ready for primetime. '” — ABC News chief medical correspondent Dr. Jennifer Ashton. That’s the key quote from a recent Good Morning America “Cover Story” segment about a mouse study exploring why breast cancer sometimes spreads in the immediate months after tumor-removing surgery. But that caution comes more than halfway through the segment, after GMA already floated an idea that will certainly alarm many cancer patients–and could even be harmful, several cancer experts said. Researchers theorize that, based on what they studied in mice, post-surgery wound inflammation may trigger cancer growth in cancer patients whose tumors are surgically removed. They also theorized that anti-inflammatory drugs like aspirin might be useful in lowering the tumor growth, based on how the mice responded. Despite her sources making it clear that this mouse study isn’t applicable to people, Ashton proceeded to put together a segment for a national morning audience about the research. 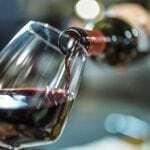 Several other news outlets also reported on the study, including STAT, USA Today, and UPI. We can only guess why Ashton chose to ignore her sources’ advice and run with the story, but it may be because breast cancer studies make for good viewer- and click-bait, especially among predominantly female audiences like GMA’s. Yet, when experts warn you that a study isn’t ready for primetime, isn’t that a really good sign to pass it over and wait for something more conclusive? And STAT’s story deserves praise. 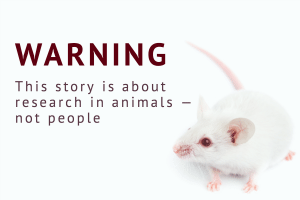 The phrase “in mice” was included in their headline, and the article explored the many limitations–especially how the researchers implanted and then removed sponges out of the mice to replicate an inflammatory response similar to what people might experience after a lumpectomy. This detail alone will give many people pause. “I would definitely go for it,” she said. A small, separate study showed breast cancer patients who were treated with the anti-inflammatory drug ketorolac in the days following surgery were five times less likely to have the cancer spread than those who didn’t receive the medication. Based on the description, readers might be forgiven for thinking that this was a randomized, controlled trial in which a treatment was tested against a placebo–but it wasn’t. Instead this finding was determined by reviewing old medical records from one surgeon’s practice to find notable patterns that may or may not explain why someone had a cancer recurrence. While the study is useful for helping trigger further research, it’s far from conclusive. 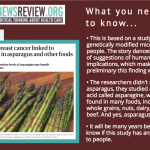 What alarmed breast cancer survivor and epidemiologist Mandy Stahre, PhD was how the results of the mouse study were presented as proven facts. 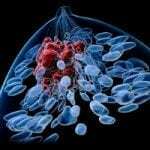 “There is nothing in this study that should lead to any changes in the way we treat breast cancer. I don’t want anyone to read the media coverage of this study and think that they shouldn’t have surgery. That would be a disaster,” said oncologist Larry Norton, MD in a blog post on the Memorial Sloan Kettering Cancer Center web site. That’s a lot of anxiety–for a study that wasn’t even ready for primetime. It’s nice that you think (erroneously) that i have the sole power to decide what topics are aired but that is not remotely true. In fact, the ONLY responsibility i have is to explain the medical stories that people will be reading and hearing about in exactly the same way as i do in my medical office: by citing pros/ cons/ raising interesting scientific questions and, when appropriate, citing relevant methodology. All of which we did in our GMA segment. 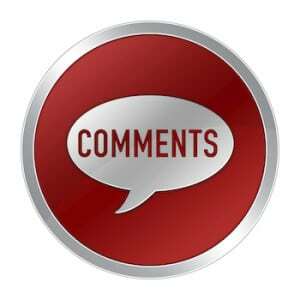 Dr. Ashton, thank you for reading our post and commenting. There’s a lot to unpack in what you said, and our diverging viewpoints may stem from differing ideas about what the responsibilities are of a chief medical correspondent for a major network: Is it to boost viewer numbers with exciting-but-overblown headlines, or is it to scrutinize the research and appropriately push back when a study is “not ready for primetime?” We feel it’s the latter, especially when the stakes are so high–when the subject is breast cancer metastases and the news audience is nearly a million people. If you, as you say, have little control over what airs–and had no option to pass on the study–then we at least think the segment could have been handled differently, for the reasons we explained in the post. That said, we were heartened that you did make it clear that it was a rodent study, and that your sources said it wasn’t ready for primetime. Had either of those detailes appeared in the lower-third, it would have gone a long way. Dr. Ashton’s comment is a cop out; it’s “the editors made me do it” excuse for not sticking with her own journalistic judgment. Would she use the excuse of “the insurance company made me do it” if it was a medical procedure she did or did not do, rather than her best medical judgment?